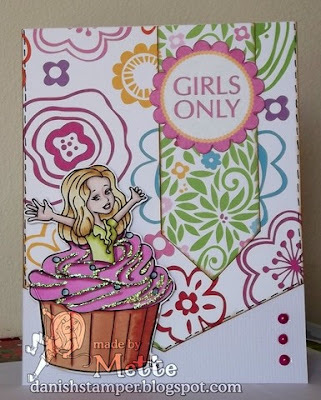 Welcome to a new feature here at Little Miss Muffet Stamps... Sunday Spotlights!! You're going to love this new feature plus you get to see inspiration from the team all featuring the same rubber stamp. 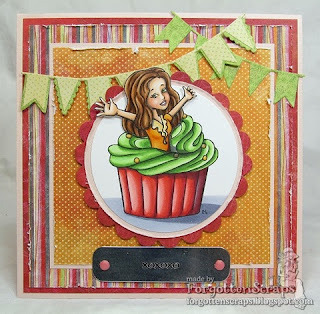 And not only that but the spotlighted stamp will be available in the store at 20% off!! 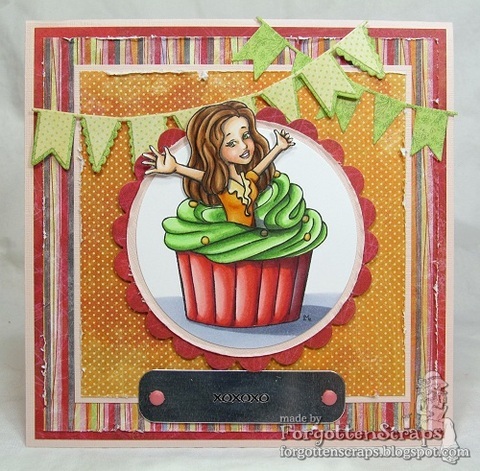 Our first spotlighted stamp is Cupcake Surprise! 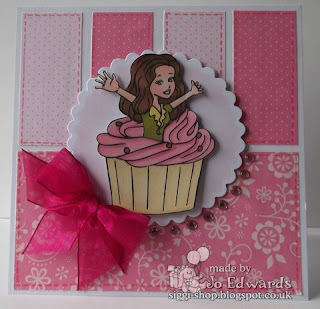 This fun rubber stamp includes three images... the cupcake, of course, a character plus a little cherry for the top! Such a fun set and I love what the design team Created! 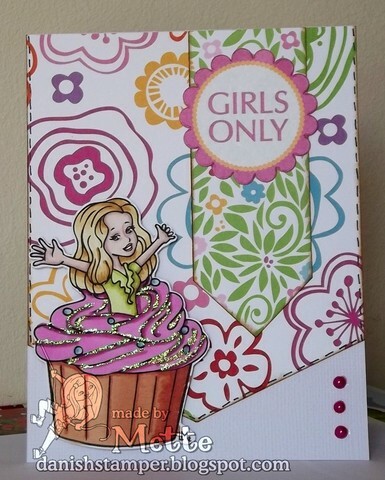 This stamp Will be available at 20% off for today only. So get it while it's hot!